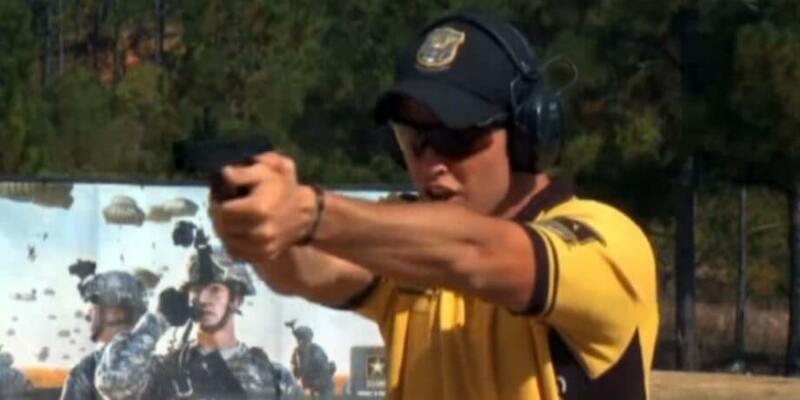 Focus on improving the fundamentals of pistol shooting to become a drastically better shooter with the pistol. 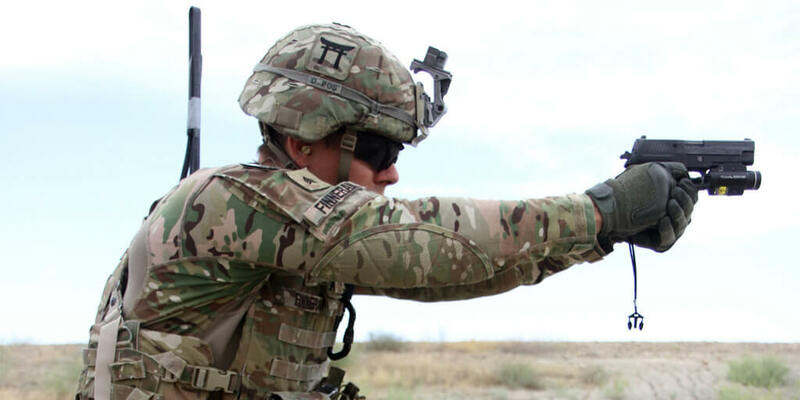 The US Army Marksmanship Unit is comprised of some of the most skilled shooters in the US Army and they have the fun job participating in shooting competitions all across the US. Needless to say, they are extremely talented shooters. The US Army Marksmanship Unit has a YouTube channel dedicated to helping shooters become better. 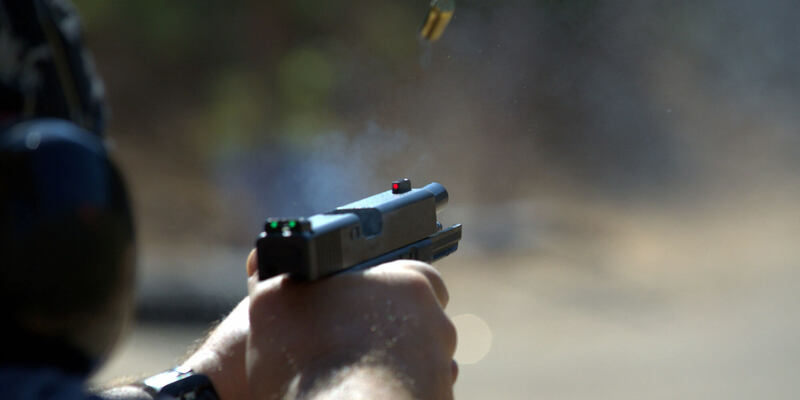 While they do have a focus on competition formats such as USPSA and 3 Gun, their advice on handgun fundamentals are valuable to all types of handgun shooters. A stable shooting stance is critical for putting multiple shots on target and transitioning between multiple targets. 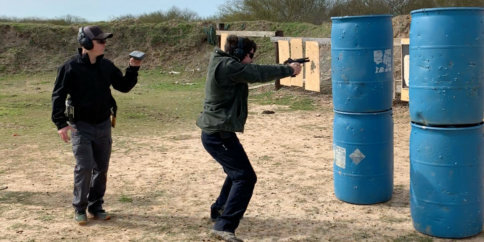 Without a stable stance, it is impossible to hold a pistol with minimal sway and it is impossible to properly mitigate recoil on multiple shot strings. Feet should be placed a little over shoulder width apart and the strong side foot should be a little bit to the rear. This allows shooters to lean forward slightly, which helps control recoil. Don’t extend your arms completely and lock your elbows, instead keep your elbows slightly bent to act as shock absorbers. 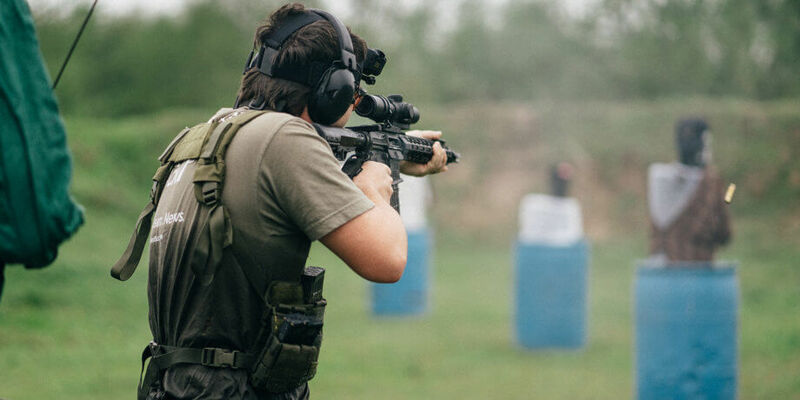 A firm grip is critical for getting sights on target and keeping the muzzle as flat as possible while shooting, particularly during rapid fire. To maintain a firm grip on the pistol, have the strong side hand as high as possible on the grip. Keep the thumb up and out of the way to make room for the weak side hand. With the weak side hand, put your index finger up against the handgun’s trigger guard, and get the palm of the weak side hand along the grip of the gun where the strong side hand has left open. Keep both thumbs flat along the side of the handgun, just below the slide. Maintain plenty of grip pressure on the gun, which keeps that muzzle flip low. Obviously, the sights are how shooters aim, so maintaining proper sight alignment is critical for accurate fire. Keep the top of the front sight lined up with the top of the rear sight notches, and equal light between the front sight and rear sights. The eyes should be focused on the front sight to maintain proper sight alignment instead of focusing on the target itself. 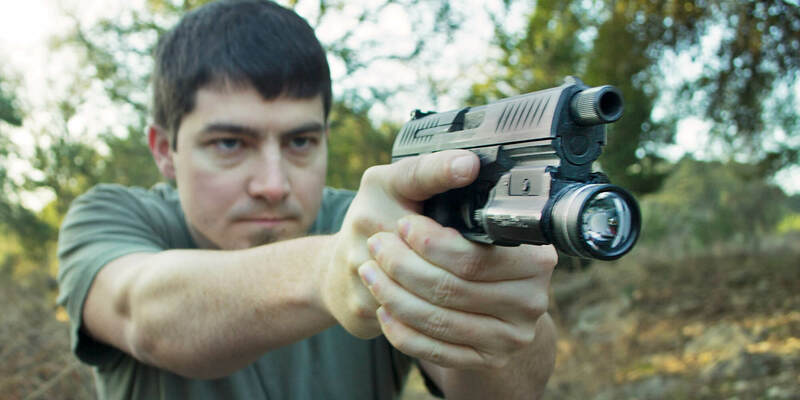 Try to watch the sights all the way through the handgun’s recoil in order to get them back on target as quickly as possible for fast follow up shots. A smooth trigger pull is critical for accurate fire. Jerking the trigger will pull the gun off target in the split second before the shot, causing shots to miss. The pad of the finger needs to be centered along the trigger. Keeping the tip of the finger or hooking the finger too far over the trigger will cause the pistol to pull to either side. Pull the trigger straight back as smoothly as possible for accurate shots. USAMU SGT Shane Coley suggests putting a piece of spent brass on the top of the slide during dry fire. If you can pull the trigger all the way to the rear without the brass falling, you’ve got a great trigger pull.